Using Solar Energy from Asphalt Roads: How Much Electricity Can Be Generated from Asphalt? How is asphalt used to generate electricity? How would asphalt energy be implemented? 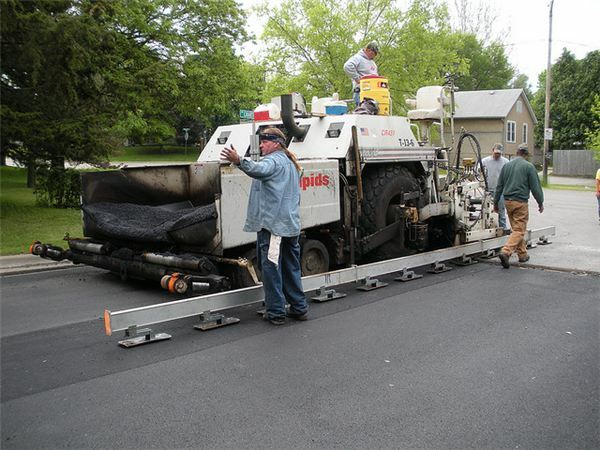 What are the benefits and drawbacks of asphalt energy? Research has shown that asphalt can be used to harness solar energy. In this scheme, the asphalt works as a solar panel by absorbing heat from the sun. The many miles of asphalt roads that we have can be used as solar panels. To harness electricity from the asphalt, metal pipes are run under the asphalt that carry water. The water absorbs the heat from the asphalt and is used in one of two ways. The heated water can be carried to buildings to supply hot water. The heated water can also produce electricity by being passed through a thermoelectric generator. Asphalt solar energy is in the early stages of development. Two small asphalt solar energy systems have been successfully used in the Netherlands to generate energy. The Worcester Polytechnic Institute is experimenting with new ways to improve upon using asphalt to harness solar energy. Combining additives with the asphalt to increase the amount of heat absorbed by the asphalt could increase solar energy production. Finding optimum materials to use for metal piping that transfers the water could result in the solar energy being used more efficiently. The cost of building the asphalt solar energy system would be minimized by building the system in stages. As roads went under construction for normal repairs, as they usually do approximately every ten years, they would be converted to the asphalt solar energy system. Since all of the roads would not be done at the same time, the expense would be spread over a period of time. Spreading the costs over a period of time would make the system more financially feasible to construct. Asphalt energy is simply solar energy. Solar energy is a clean and renewable source of energy that does not emit pollution. The benefit of using asphalt over solar panels is that the asphalt is already in place and land does not have to be devoted to solar panel placement. A potential drawback is the use of water in the system. Water is a valuable resource and if the system were to use fresh water, it could place a strain on the water supply. Potable water would not have to be used to pass the water through a thermoelectric generator. The use of nonpotable water would not cause a strain on the water supply. Potable water would have to be used with the system if it were to be used to create hot water for homes and businesses. Would the system use two different sources of water? Potable water to create hot water and nonpotable water to create electricity? Solutions to water usage need to be considered and explored.